 How good is Libra at keeping secrets? Can You Confide In Libra? Find Out Below! You are not at all a secretive person – the people you communicate with on a regular basis know all about you, even the things that others might prefer to conceal. However, when it comes to keeping secrets, you might be the first your friends turn to. You are a great confidant and advisor, reliable, warm-hearted, and wise. You also have expert knowledge and innate understanding of the matters of the heart, this is why you probably have to keep loads of secrets for all of your friends. But you are equally good at honoring job-related secrets because you know how they can strike back. However, you tend to confide in your spouse at all times, so the safety of the secrets you are keeping actually depends on how trustworthy your spouse is! Find Out What Gives Libra The Creeps!